JEECUP Seat Allotment Results 2017: Uttar Pradesh Board of Technical Education has released the JEECUP Seat Allotment Results 2017. It has conducted the Joint Entrance Examination Council of UP (JEECUP) on 23rd April and released the results in the third week of May. Qualified candidates attended 1st Round Counselling from 13th June to 19th June 2017; now they are eagerly waiting for UP Polytechnic 1st Round Seat Allotment Results. Candidates can check their JEECUP 2017 First Round Seat Allotment Results from the official website www.jeecup.org. Allotment letter contains all the details regarding allotted college and course. Click on the direct and active link of JEECUP Seat Allotment Results 2017 at the bottom of our page. Uttar Pradesh Board of Technical Education which is abbreviated as UPBTE was established and Headquartered at Lucknow in the year 1958. Every academic year it conducts JEECUP Exam to intake candidates into various Polytechnic Programmes. The Board has uploaded the JEECUP Seat Allotment Results 2017 on its official site. Students can download and check Uttar Pradesh Polytechnic Seat Allotment Results by visiting the official website www.jeecup.org. You have to provide your Registration Number and DOB to check your results. If you are satisfied with allotted college and course, report at the allotted institute from 22nd June to 29th June 2017. On the day of reporting, you have to take a hardcopy of JEECUP 2017 First Round Seat Allotment Results. Carry all necessary documents with you while reporting, because you have to submit them at the allotted college. You can go for 2nd Round Counselling, if you are not happy with the allotted seat. UPBTE will conduct JEECUP 2nd Counselling from 1st to 4th July 2017. 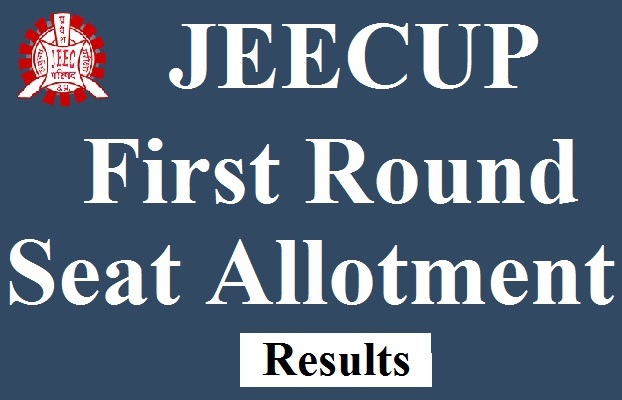 Follow our website www.Techfactslive.com on Facebook & Twitter to get all the latest updates regarding JEECUP 2nd Round Seat Allotment Results. If you have any Problem Contact us at [email protected].